As a former fifth grade teacher, I can testify there are a lot of really great middle grade books, and a lot of really bad middle grade books. But I think we all agree Wonder knocked it out of the park. 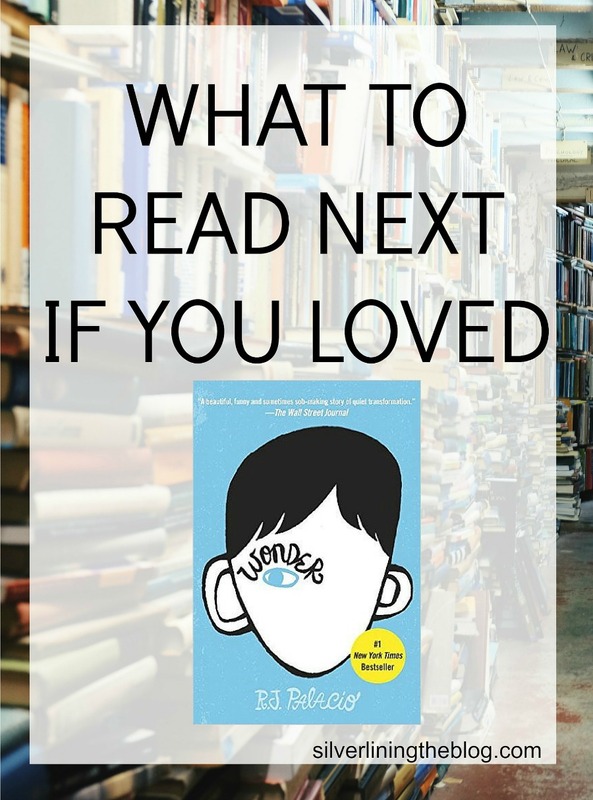 Wonder is a sweet and honest story of a severely physically disabled boy who goes to a public school for the first time. Told from multiple perspectives, this middle grade book is all about kindness, social interactions, and going beyond the obvious. I loved it, and had such a great time reading it aloud and discussing it with my fifth graders. Today I wanted to help you navigate the overwhelming world of middle-grade books and share three recommendations. These are all similar to Wonder in scope, theme, and audience, so if you loved Wonder I think you'll love these picks as much as I did. Everyone should do themselves a favor and buy this book now before it inevitably wins three book awards next year and prices go up. Set in WWII London, this book tells the story of two siblings evacuated to the country to escape the war. The protagonist, who is spunky and brave and everything a protagonist should be, is 9-year-old Ada, who has never learned to walk or left her one-room apartment because her mother is ashamed of Ada's twisted foot. This story made me laugh, cry, hold my breath, and think about how empowering it is to know you are unconditionally loved. In this book, four children solve riddles and puzzles together at the Learning Institute for the Very Enlightened. It's fun to read along and solve the puzzles as they go, and it reminded me of Wonder because very different children work together and overcome obstacles in a school-like setting. It's a fun and easy read, with very likable characters. You guys, I loved this book. The narrator, a seventh-grade boy named Holling, pulls you in from the very first page and doesn't let go until the very last line, at which point you'll probably be crying happy tears like I was. Holling is an adorable antihero, as he narrates his adventures and misadventures in escaped rats, Shakespeare, and bright yellow tights, all within the larger contexts of delicate family relationships and the Vietnam War. See more of what I'm currently reading and recommending on Goodreads. Did you love or hate the books on my list? *This post contains affiliate links to books I love and own.